It was a hot and muggy Saturday in June, but this day will be spent honoring one of Fort Apache’s fallen brothers Kenneth Mahon. Today, 06-18-11, a street will be renamed after him. The corner of Southern Blvd and E147th Street will now be named “P. O. Kenneth Mahon Place” not far from where he was murdered. On December 28, 1974, Kenny was brutally shot and murdered in the line of duty. He worked in the anti-crime unit in one of the deadliest precincts in the United States…The 41 – Fort Apache. 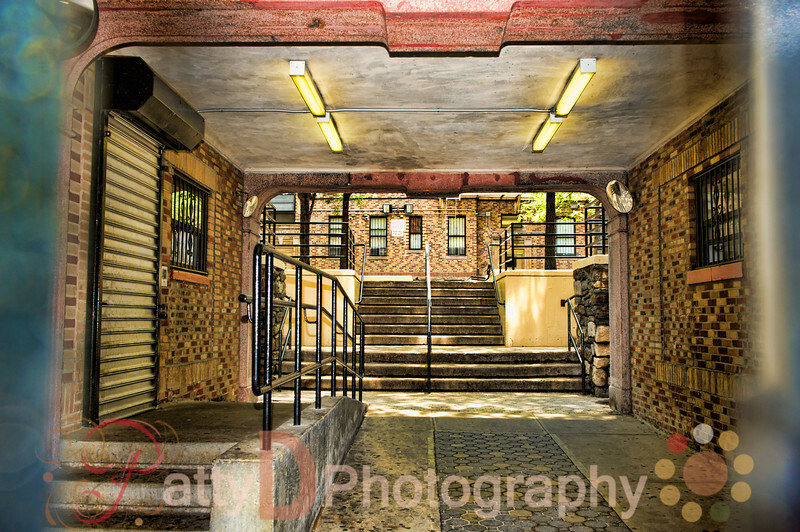 This precinct was made famous by the movie “Fort Apache – The Bronx” starring Paul Newman based on a book by the same name written by Captain Tom Walker. Walker was the executive officer in the 41 precinct in those days and he attended this event. 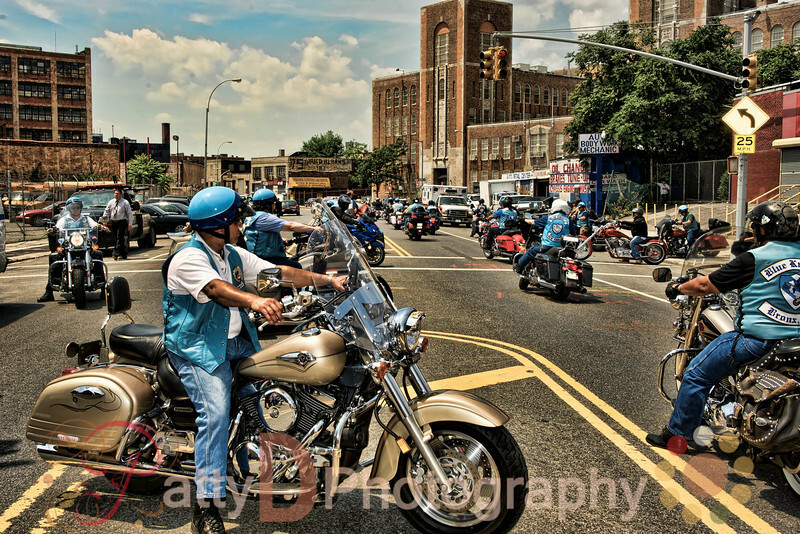 In the 70′s, the South Bronx was run by street gangs…..the Savage Skulls being one of the most notorious. There was an unusual number of crime and violence. 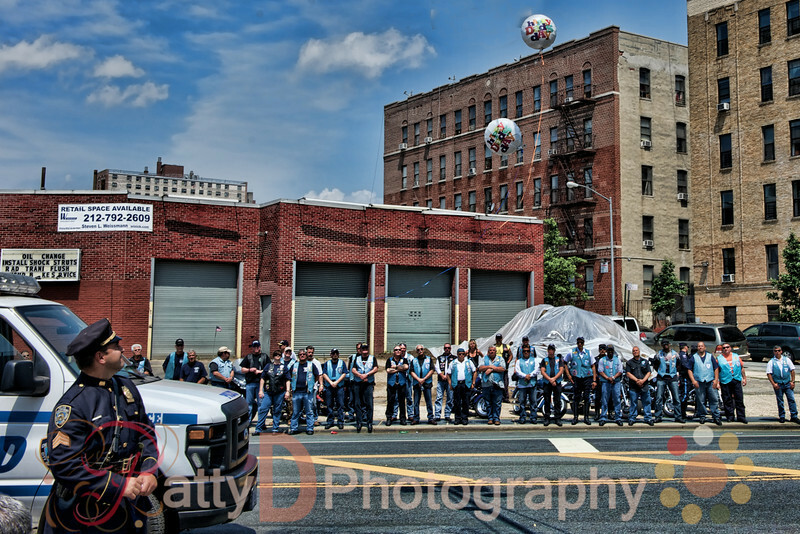 The 41 precinct averaged over 100 homicides per year. My husband, Jack Marchesi, was a young cop assigned to the “Fort Apache” anti-crime unit in the 70′s. As you can imagine, he has a bottomless barrel of tales. His team would average 10 jobs per tour……many of them very serious crimes. We pulled up to a sea of blue……old Pct. 41 Alumni, the Blue Knights, and of course the current Pct. 41 Police Officers. It was a reunion for some who had not seen each other for many years. When your life depends on each other, a lasting bond is formed and it was quite evident. Lots of handshaking and reminiscing. The official ceremony began with the National Anthem sung by P.O. Christopher Mendez who did an outstanding job. This was followed by remarks by various luminaries. P.O. Mahon’s daughter Melinda who was just 3 years old at the time of her father’s murder gave a brief eulogy. Her hard work and dedication along with Hon. Maria Del Carmen Arroyo made this street renaming possible. As she ended her remarks, Melinda let two balloons float to the heavens with ‘Happy Father’s Day’ on them. She said she could now finally celebrate ‘Father’s Day’. 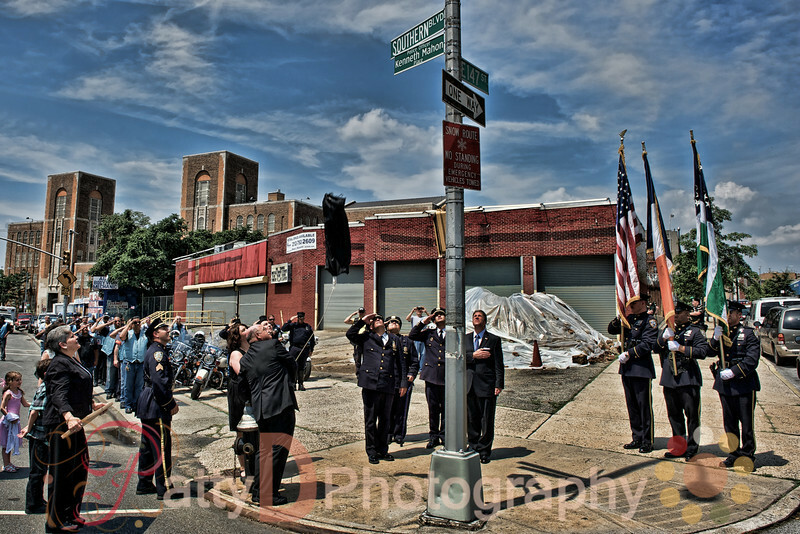 Next, family and friends were escorted across the street to witness the official unveiling of the street sign at E147th Street and Southern Blvd in the Bronx to “P.O. 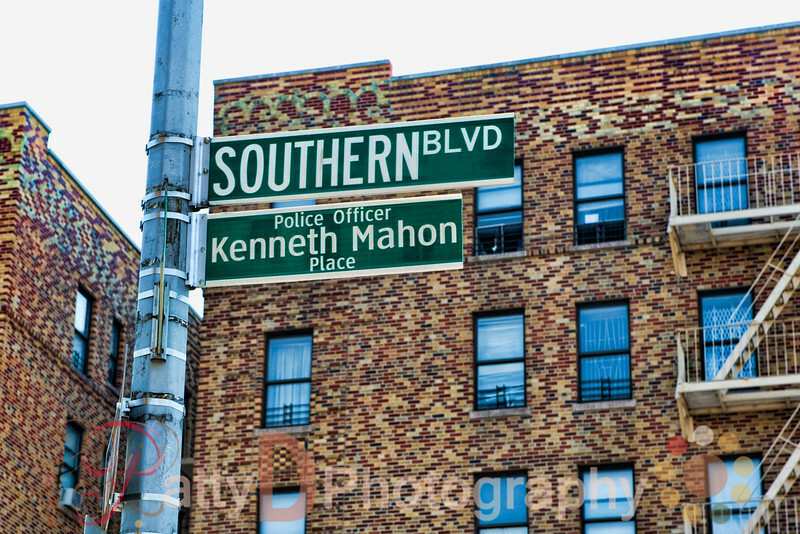 Kenneth Mahon Place”. It was a bittersweet moment. 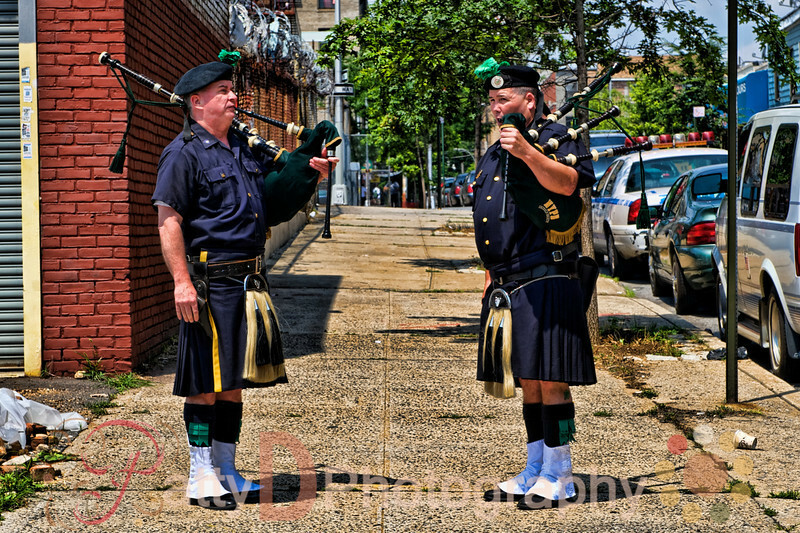 Sister Thomas S. C. said a few closing words and the Emerald Society Bagpipes filled the air with their amazing sounds. Thank You P.O. Kenneth Mahon for the ultimate sacrifice that you made to our community and our society. 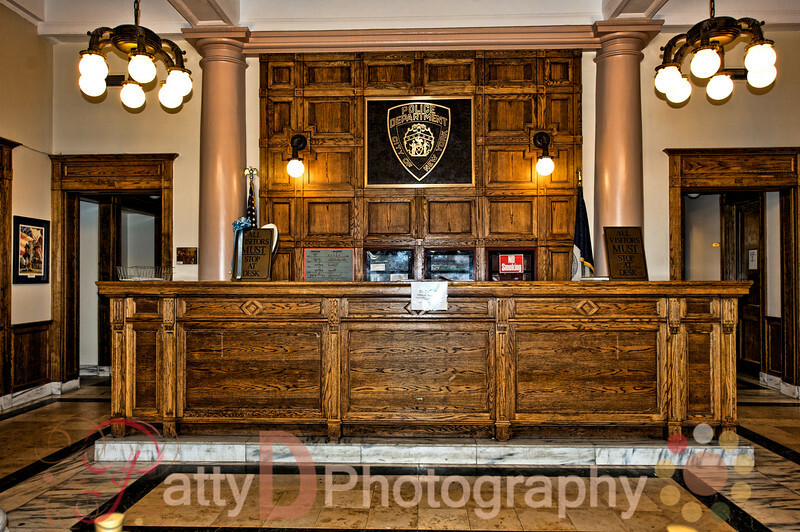 After the ceremony, my husband Jack took me to the original 41st Precinct located at Simpson Street. Lots of memories were conjured up and guess what…..he thought of a few more stories that he could tell me on the way home! 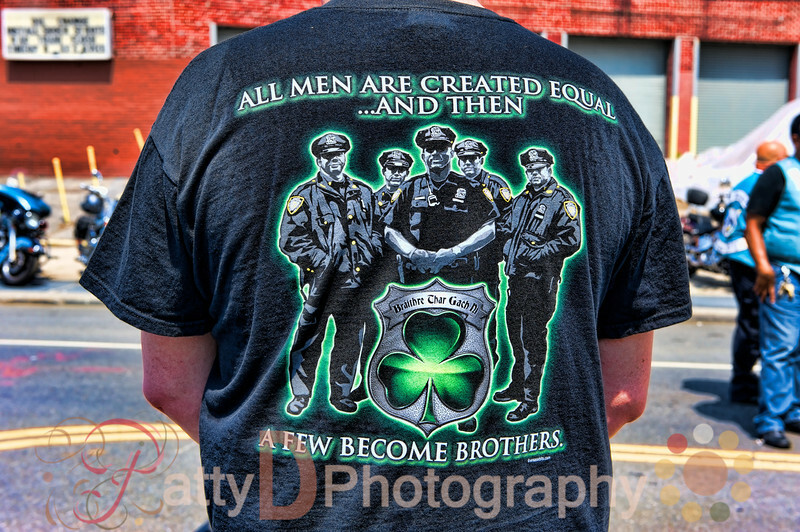 All images in this website copyrighted by Patty D Photography. All rights reserved. The images and/or text may not be copied, transmitted, published, reproduced or used in any way without written permission.